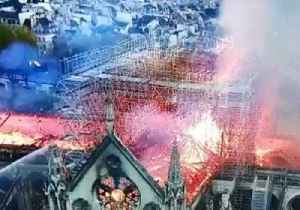 Image seems to show the historic 850-year-old building had extra protection. 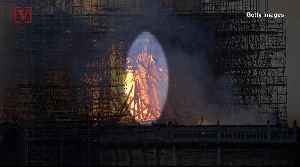 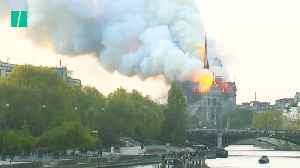 The roof of Paris’ Notre Dame cathedral was almost entirely destroyed by a fire on Monday night. 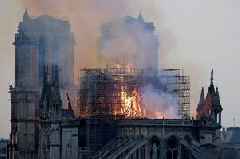 The spire of the historic monument toppled down, with two thirds of the roof damaged before the emergency services were able to stop the blaze. 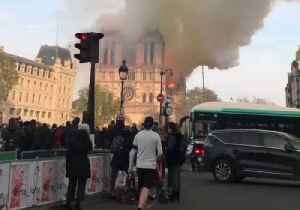 Flames were seen coming from Notre Dame Cathedral in Paris on Monday, April 15. 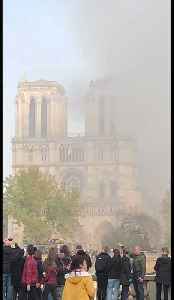 This footage shows a glimpse of the smoke pouring out from the cathedral. 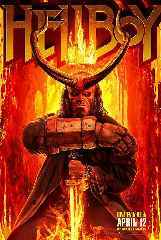 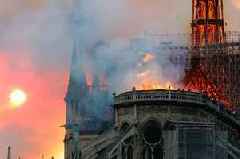 According to a tweet from AFP citing..
Flames were seen coming from Notre Dame Cathedral in Paris, France, on Monday, April 15. 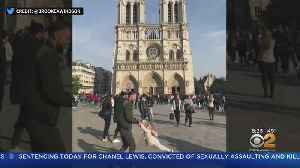 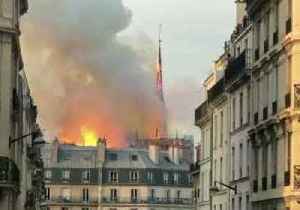 Footage shared to Twitter from Kinsley Laurence show the spire on top of the cathedral collapsing into the..
Eagle-eyed mum 'spots Jesus in Notre Dame fire flames' - but can you?